This beautifully produced documentary, hosted by Wesley expert Keith Garner and shot at key locations, provides a comprehensive view of John Wesley’s life and legacy. ﻿Journey throughout England and follow the story of one of the most influential people who ever lived. From a childhood upbringing in the small town of Epworth in the north of England to a scholarly education at Oxford University, and from humble beginnings in Bristol to an influential base in London, John Wesley’s impact is still felt, though not completely recognized, today. From an early age, John Wesley had a calling on this life to serve. 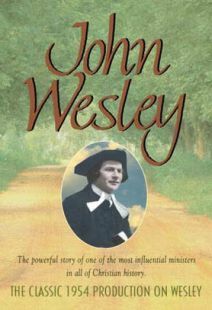 Throughout every phase of his life, Wesley was a man of influence and he was recognized as a natural leader. His dramatic rediscovery of the biblical message of God’s grace offered freely to all led him outside the walls of the church to preach to the masses. Discover the makings of a man who traveled the length and breadth of England more than any other, who was able to inspire the poor, the middle class, and the leaders of his day, and who is widely regarded as one of the most persuasive figures in world history. The work of John Wesley spread throughout the world and today, hundreds of years after his death, still influences social justice, politics, and religion around the world. 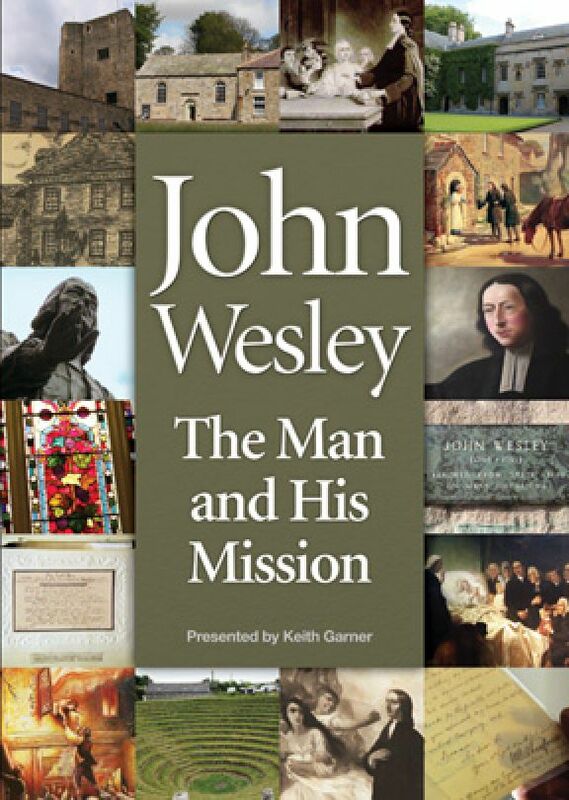 This beautifully produced documentary, hosted by Wesley expert Keith Garner and shot at key locations, provides a comprehensive view of John Wesley’s life and legacy. 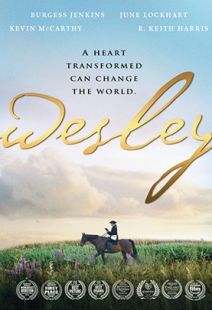 John Wesley: The Man and His Mission is a DVD documentary about John Wesley (1703-1791), known for his pivotal role in founding the Methodist movement, along with his brother Charles Wesley. His work and message, which he spread by open-air preaching, also influenced the development of the Holiness movement and Pentecostalism. He opposed Calvinism and the doctrine of predestination, and championed the idea that the Christian faithful could become sanctified and transformed by God, and come to know Jesus Christ personally. He worked for social justice, reforms in poverty relief, prison reform, and the furtherance of education. Hosted by Keith Garner, an expert on Wesley's life and legacy, John Wesley: The Man and His Mission is an inspiration to Christians and principled humanitarians of all faiths, highly recommended especially for public library and church DVD collections. 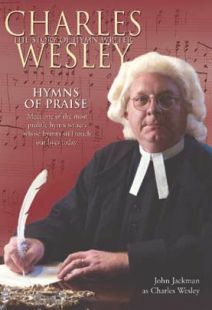 Bonus features include an interactive timeline and sample Wesley sermons delivered by Keith Garner. Filmmaker Richard Attieh's informative documentary traces the life and work of John Wesley, founder of the Methodist movement, who was born in 1703 in Epworth, England. Saved from a fire as a child—a pivotal event in his later spiritual development—Wesley went to London at the age of 10 to be educated, and on to Oxford in 1720, eventually becoming both a priest and an instructor, leading a group called the Holy Club, where he began to form his ideas about personal belief in God. 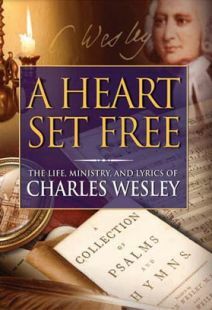 Overseas, Wesley endured a disastrous stint as a preacher in Savannah, GA, and was influenced by deeply spiritual Moravians who had settled in America. Back in England, his longing for deeper faith led him again to a Moravian preacher and a conversion in which he came to feel the power of personal salvation. 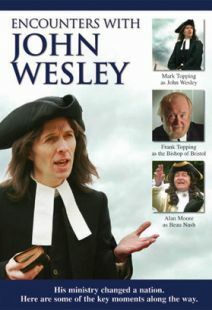 The film looks at the success of Wesley's "field preaching"—i.e, accessible services held outside of church halls that attracted miners and others to this new, populist religion of Methodism that would eventually have an enormous impact on worship, abolitionism, prison reform, and international politics, among other areas. Hosted by Wesley expert Keith Garner, this biographical portrait combines contemporary location footage with archival material and interview clips. Extras include an interactive timeline and a featurette with Garner delivering a selection of Wesley's sermons. Recommended. Charming narrator and refreshing sprightly tone to the presentation. Clear sunny days as they visit the modern sites of Wesley's England. I bought it mainly to see the modern sites. Problem is they hardly let you know where they are or what you are looking at. And it is mostly "John is great" without telling you any specifics. It emphasizes his social reform work as if that was what he was all about, and they hardly tell you what social reform they mean. The Wesley videos are consistently shallow in presenting details about him. You must be well read on his life and then watch the movies. Don't expect the modern movies to teach well. They have not found actors and scripts capable of portraying this vigorous man, his ego and effects. A good movie for the church library but I consider it another disappointing Wesley movie. I keep buying them hoping to find a useful one!